Can You Build Muscle with a Full Body Workout Twice a Week? You want more muscle than you have right now. And you don’t have much time available to go to the gym and lift weights. 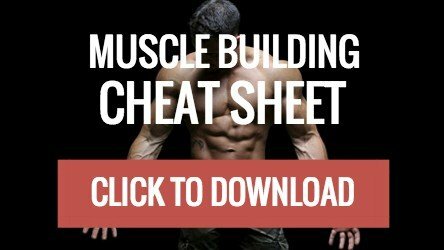 What’s the minimum amount of training time required to build muscle? In fact, research shows very similar gains in size and strength whether you train a muscle group twice or three times a week. • In one study, subjects training a muscle group twice per week made around 70% of the strength gains (measured by maximal strength in the squat) compared to subjects training three times per week. • In another, training twice per week led to around 80% of the isometric strength gains achieved by those training three days per week. • Canadian researchers compared the same total training volume divided across two or three weekly workouts. Gains in muscle size and strength were virtually identical with both routines. • Researchers from the University of Memphis compared the effects of a strength-training program performed either twice or three days per week in a group of adults aged over 60. The rate of progress in both groups was almost identical. • A 2018 study shows that distributing the same amount of training across two or four weekly workouts led to roughly the same amount of muscle being gained. Although the group training twice a week spent longer in the gym, they didn’t have to go there as often. • When a team of scientists compared studies that investigated training muscle groups once, twice or three times a week, they concluded that “the major muscle groups should be trained at least twice a week to maximize muscle growth.”. 1. The first is obvious. Lifting weights twice a week won’t take up much more than a couple of hours, which is less than 2% of the time available to you over the course of a week. That gives you plenty of time to get other stuff done. 2. If you’re into a particular sport (e.g. cycling, running, or martial arts) and want to incorporate some strength work in your program, lifting weights twice a week will allow you to do so without interfering with your other training. 3. Training twice a week will let you retain (and in some instances gain) both size and strength while you drop fat. It’s also a good fit if you’re using a carbohydrate cycling protocol where the primary goal is to get strong and ripped. Increasing your carb intake on the days you lift weights will make a big difference to your performance in the gym while having a relatively minor impact on your weekly calorie deficit. 4. If you’re in your 40’s, 50’s or beyond, you’ll know that it takes longer for your body, especially your joints, to recover from a hard workout. Cutting your training frequency back to twice a week is an ideal way to gain size and strength while still giving your body the recovery time it needs. Can You Do Full-Body Workouts on Consecutive Days? In days gone by, I would have told you to take at least a day or so before training the same muscles. That is, if you want to do a full-body workout on Monday, wait until Wednesday or Thursday before doing the same thing again. However, a number of studies have been published in recent years that have changed my mind on the subject. For one, training a muscle that still shows signs of damage from a previous workout doesn’t appear to slow recovery, or make the existing damage any worse. In one study, scientists recruited a group of 51 student athletes and split them into two groups. Both groups completed 30 negative repetitions of dumbbell curls, which is a highly effective way to create both muscle damage and muscle soreness. The first group rested. But the second group came back to the lab just three days later, when their muscles still felt sore, to do the whole thing again. Both groups were tested every day for nine days after the first workout. You’d think that the second bout of training would interfere with recovery from the first, or at least exacerbate muscle damage. But the researchers could find no significant difference between the groups in terms of muscle soreness or markers of muscle damage. More interesting still, when a team of Brazilian researchers compared training a muscle once a week with a full-body workout performed on five consecutive days, there were no significant differences in terms of strength or size gains between the two groups. That is, 10-15 sets distributed across five consecutive training days delivered much the same results as the same number of sets performed once a week. A couple of new studies out of Portugal and Singapore show that training on three consecutive training days (e.g. Monday, Tuesday, Wednesday) works just as well as inserting a recovery day between each workout (e.g. Monday, Wednesday, Friday). Granted, these training programs didn’t last very long (7-12 weeks), and we may well have seen a different set of results with longer training periods. What’s more, the “optimal” amount of time between workouts is highly individual, and will vary from person to person, based on the type of workout you’re doing. Given the choice, I’d still prefer to insert at least one day of rest between workouts for the same muscle group. However, if you only have time to train at the weekends, and provided that your workouts are set up properly, a couple of full-body workouts on Saturday and Sunday may well do the job just fine. If you can’t make it to the gym as often as you’d like, don’t worry. A couple of full-body workouts twice a week is still enough to get the job done.